Have you ever read a book and though, “This would be a great movie!”? Well that’s Three Times Lucky. I could see the scenes in my head, and I started casting the movie as I read. It opens up showing the workings of a small Southern town: kids riding bikes to the local creek (or crick), old pick up trucks being worked on, women in big hats drinking iced tea… and after the credits, you hear the dinging of the door chime in the small local cafe. It may catch you off guard that a smart-mouthed, quick-witted child is running this cafe. Mo is the protagonist of the story. She is the smart-mouthed, quick-witted incoming sixth grader, and her “adoptive” parents, Miss Lana and The Colonel, run the local small-town cafe. She was found as a newborn afloat in a creek after a hurricane, apparently wrapped and placed on a board during the storm by her “Up Stream Mother.” Hence her name, Moses. Mo writes letters to her mother in a series of books, her autobiography. She has a best friend named Dale (after the race car driver), and he is also a detective in their agency. There is a murder in their community, and a detective from a bigger neighboring town comes in to solve the case. Mo and Dale do their part, but things start to go sour for Mo, and she needs to use her intelligence and cleverness to save her family and friends. What I liked about this book was the quirkiness and humor that Mo brought to the story. I would classify her as GATE just based on her creative thinking and use of vocabulary. In fact, most of the characters in this story are quirky in some way, some more than others. I enjoyed getting to know the characters and their antics, as well as the sense of community in their town of Tupelo Landing. I look forward to reading The Ghosts of Tupelo Landing, the companion novel. What I didn’t like about this book was that for me, it got off to a slow start. It took me a few days to get into the book. It shouldn’t have taken me two weeks to read, but it did, partly because I was so busy, and partly because I couldn’t get into it right away. I read more than half the book last night and today, and was able to finish. My advice is to keep going, and don’t get sidetracked by the first few chapters, which are full of character development, but still kind of slow. Today, I got to chaperone a group of fifth graders to the Festival of Books at USC. It’s kind of like a massive book fair with all kinds of vendors, authors, illustrators, and every kind of literature imaginable, from comics to children’s through adult books and novels, to newspapers, religious brochures, drawing books, you name it. A few students from my class went last year, but I didn’t attend, and I regretted it as soon as I discovered what it was. This year, although I didn’t teach the class that went, I jumped at the chance to chaperone. 1) I got to meet Stuart Gibbs and he autographed 3 books for me. I have to admit that I haven’t actually read any of his books (yet), but I’ve been stalking Spy School at Barnes & Noble for almost a year, and I fully intended to buy it as soon as I was ready and nothing else was pressing. Today was as good a day as any. Definitely expect to see a blog about these books in the future. 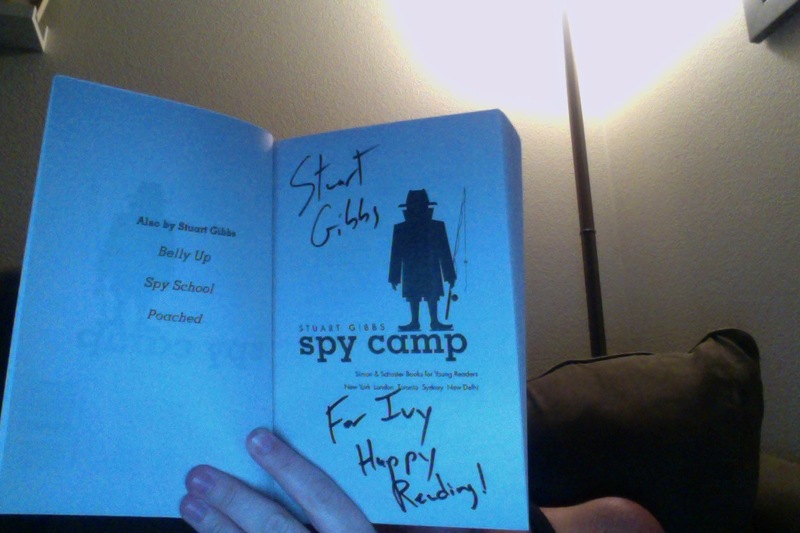 Unfortunately, I was so flustered about the chance to meet a real author, I got Spy Camp, the sequel to Spy School, instead. So I still have to go buy Spy School, and it won’t be autographed like the other 3 books I bought today (Spy Camp, Poached, and Belly Up). Ugh. But at least I got to meet him, get his autograph, and joke about how I already have 2 children and don’t need to take his 2 home in my complimentary tote bag. I think he’s the biggest author I’ve met so far, and as we know, authors are book nerds’ celebrities. It doesn’t matter if I’ve seen the movie (read the book). Seeing the actor (author) is still pretty cool. 2) I also got to meet Jenny Offill, an author I’ve never heard of, but I really loved the 2 books I bought: 11 Experiments That Failed and Sparky! She was gracious enough to autograph my books and double checked that she had the spelling of my daughters’ names correct. Sparky! 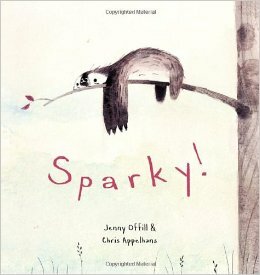 is an adorable book about a girl narrator who really wanted a pet, and got her mom to agree to a sloth. The judgey girl down the street made fun of her sloth, so the narrator decided to prove judgey girl wrong. It is a sweet story. Plus, how many picture books have you read about sloths? They are awesome, and the best part of Sea World, if you ask me. 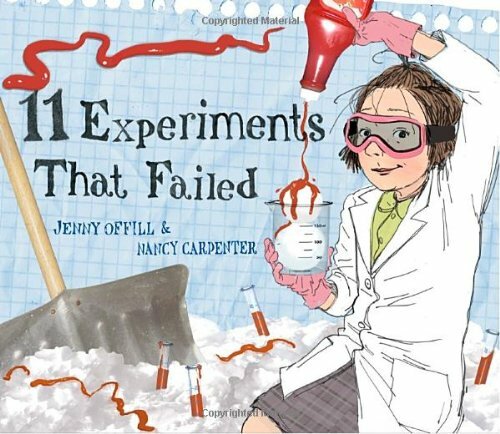 11 Experiments That Failed, also by Offill, is my classroom STEAM find. Another girl narrator is interested in answering her questions through experimentation, and she analyzes her results. It made me laugh out loud, and I definitely recommend getting this for your classroom if you teach science or STEAM. 3) Books galore. I love books. Did you know that? I got a few other books that I will not post about, because I want to save them for future posts once I’ve read them. I saw books I’d never heard of but now want, and books I’d heard of but never picked up. It was neat to see so many vendors with a shared passion, and so many people coming together for the sake of literacy. I was happy to bring my future students to this event to see them look at books and think about what went into the development of these stories. Really, I just like kids who like books. I can’t wait until next year! Maybe I’ll sneak off and sit in the audience of a panel of my favorite authors! My 52nd book in 52 weeks! It was a good one, too. It is also my first non-fiction book in this challenge. This is the story of Malala, the young Pakistani girl who was shot in the head by the Taliban. I remember hearing about her in the news, but I did not pay much attention, other than she was shot in the head in a bus, and it was education-related. After reading this book, I can see why she won the Nobel Peace Prize. She is so young, only 18, and she is a brave, intelligent role model for young women all over the world. With all of the negativity about Muslims and Islam, I am happy to read about a practicing Muslim and what they believe. If the entire world just heard about the nutty Christians in America, I’d want to get my message out there, too. 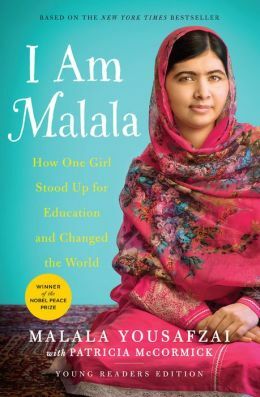 But that’s not what Malala was trying to say through this autobiography… She was pushing a message of education for all boys and girls, and I hope that students see the value and the privilege of their education. What I liked about this book was, of course, the main message: education is a right. I picked this book up, because it is another mandatory read for my husband’s school. That means every high school student at his school is expected to read this book and discuss it throughout the year, relating it to all of their subject areas. I can’t help him out by connecting it to math, but certainly the message of education is there, regardless of what subject he teaches! Book 52 of 52!!! Woo hoo! For my next challenge, I will lower my expectation to only 40 books. I want to be sure to enjoy what I’m reading and not worry about reading short books to up my count, or bypass good books due to time. My goal was to fall in love with reading all over again, and I have definitely accomplished that. I already have a great list of books to get started on. Thank you for reading! 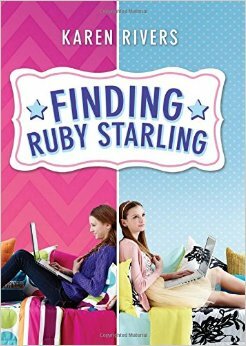 I really want to tell you that this tween version of “The Parent Trap” taking place in the digital age was terrible. Vocabulary included words like “totes” and “brill” and “fab” and “amazeballs” and those are the kinds of made up or shortened words that make me cringe like an email riddled with grammatical errors. Yikes. Might as well include “fam bam” so I can have a real coronary. So I want to tell you that it was a painful book to read, but it really, really wasn’t. I finished it in a day, because 1) I needed to meet my 52 book goal, and 2) it was actually pretty entertaining to read. Not Fifty Shades or Insurgent entertaining, but it was an innocent, family-friendly story I had to see through. First of all, the book is completely written via email, except for a few hand-written letters. Ruth is a twelve (almost thirteen) year old girl who discovers her twin on the Internet using FaceTrace. She emails this girl (Ruby), and they start getting to know each other via email. Ruby lives in England with her artsy mum, her dad and nan having passed away while Ruth lives in America with her loving and attentive adoptive parents. You would think the story would be about that- two long-lost twins getting to know each other. But it wasn’t just that… both girls had similar feelings of isolation and felt incomplete somehow. Ruth struggled with her anger and hurt of being abandoned, as well as guilt for having the heart of a little girl who died. Ruby struggled with her mother’s distractedness and her nan passing away recently. There was a lot more raw emotion and thematic elements to this book that I expected. I guess my expectations weren’t very high, and I was pleasantly surprise with the “meat” that was actually there. What I liked about this book was that it did surprise me. I feel there are a lot of fluffy books out there to get kids reading. I assumed this was a fluffy book based on the language, cover picture, and content of the initial emails. 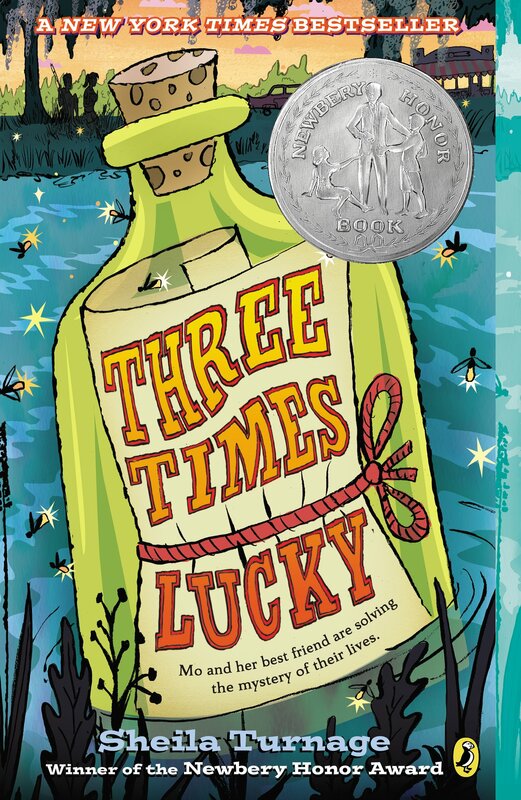 As I read, I realized that a lot of students could relate to some of the feelings of the characters in this book. Most likely, my students have not been adopted, and most do not have heart transplants, but many could feel the loneliness, isolation, guilt, and burden of having to raise their parents. If nothing else, it give students an opportunity to see a situation from different perspectives and learn to forgive others. So maybe that’s not such a bad thing. Thanks again to Daniela for letting me borrow her book. I need to just get her summer reading list. To meet my goal of 52 books in 52 weeks, I basically have to read 5 books this weekend. Kind of defeats the purpose of a book a week, but you know, life came up, and it’s been a hectic year. I picked Liar, Liar up, because originally, I thought they looked interesting. I know Gary Paulsen is a well-known author (Hatchet). This is the first in a series of of books about Brian, and i also plan to read Crush this weekend. If you have read my reading list from the past year, you know I get obsessive about series and authors and I have to read everything they’ve written. I am not feeling that way with all of Gary Paulsen’s books since they don’t all look like my taste (thought I’ve been proven wrong, there), but I will read the short books about Kevin, because they’re funny and well-written. 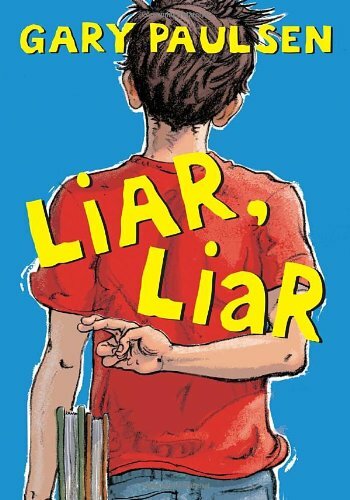 Kevin is an eighth grade boy who has a different philosophy about being honest. He believes that lies are just telling people what they want to hear, and that lies aren’t all that bad. He sees his ability to lie as a talent, and he does appear to be pretty good at it. 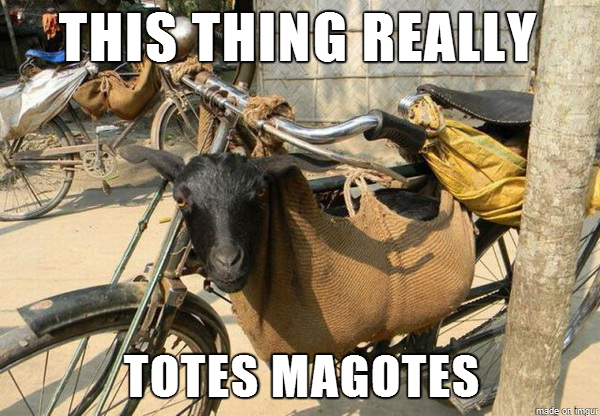 He doesn’t lie about dumb things. He basically makes people happy by shielding them from the truth, although some of his lies are for his own benefit. At the beginning, Kevin falls in love with a girl, and he tells a series of lies to get to get to know her better. In the end, he realizes the severity and damage of his lies, and he has to make amends. What I liked about this book was that it was a quick, entertaining read. It is only 120 pages, and I basically read it in 2 sittings (I’m terrible about starting book in bed when I’m exhausted, so I read half before bed and half during my kids’ nap time today). Normal people could probably read the whole thing in just over an hour. I also liked that it has an important message. The theme is crystal clear in the end, but it also sympathizes with the desire to make people feel better by telling them what they want to hear. White lies, in reality, are still lies. What I didn’t like about this book was that we never got to see what became of Kevin’s crush! 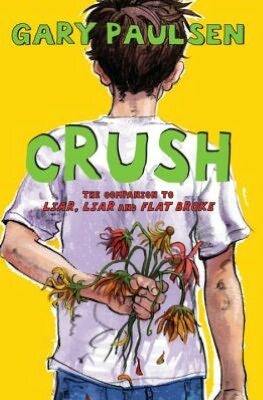 However, I am going to read the next book, Crush, because I’m assuming we’ll learn more about her. Once again, Daniela’s taste in books proved reliable. She is my sixth grade book worm who let me borrow the Miss Peregrine books, and she’s recommended several others to me, although some are a little too “tweenish” for me. She will be leaving me in 7 short weeks, but I’ll have to keep in touch with her!